The La Cañada Flintridge area, in the hills above Pasadena is known for many exceptional homes, dating back to the early 1900s. 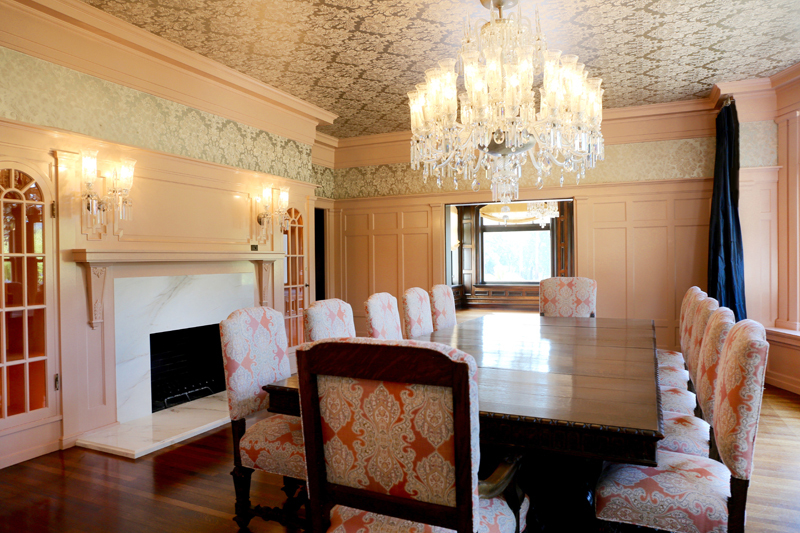 Today’s home was the 2016 Pasadena Showcase House and is considered to be one of the crown jewels of the area. The home believed to have been designed by noted architect Myron Hunt for Senator Flint, for whom the city is partly named. 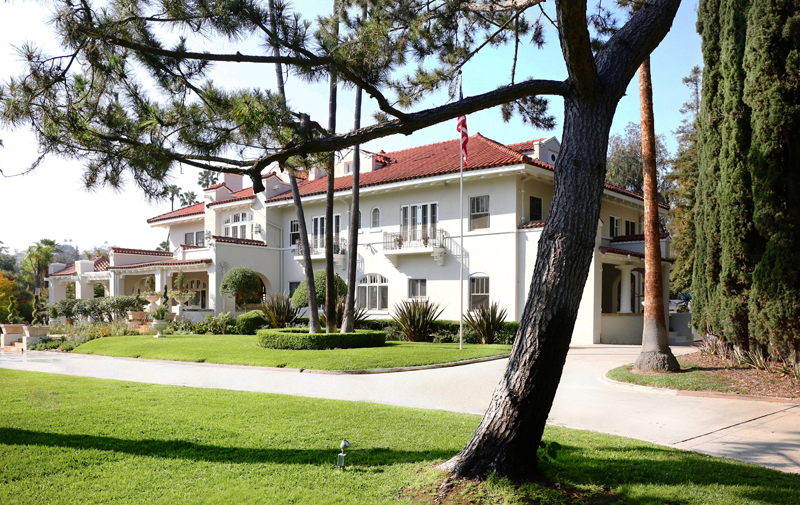 Originally known as the Dryborough Estate, the home was used in the 1976 movie W.C. Fields and Me and was also the Pasadena Showcase house in 1987. It has been completely renovated and updated and located on one of the most prestigious streets in La Canada. The Mission Revival Mansion is surrounded by just under two acres of park-like grounds, made up of three separate parcels, with a separate guest house, four-car garage and a total of 18,190 square feet of living space. 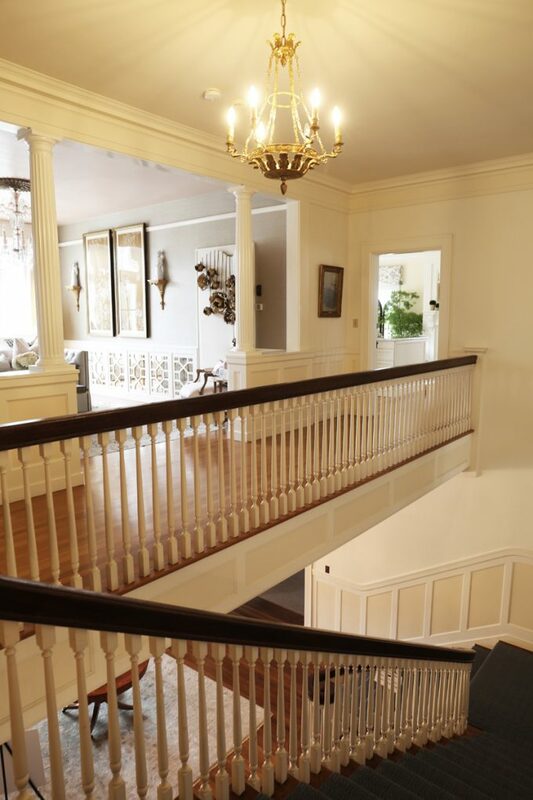 The home has elegant long hallways, original wood paneling, six magnificent fireplaces, large outdoor front porch and many balconies that enhance the 360-degree views. 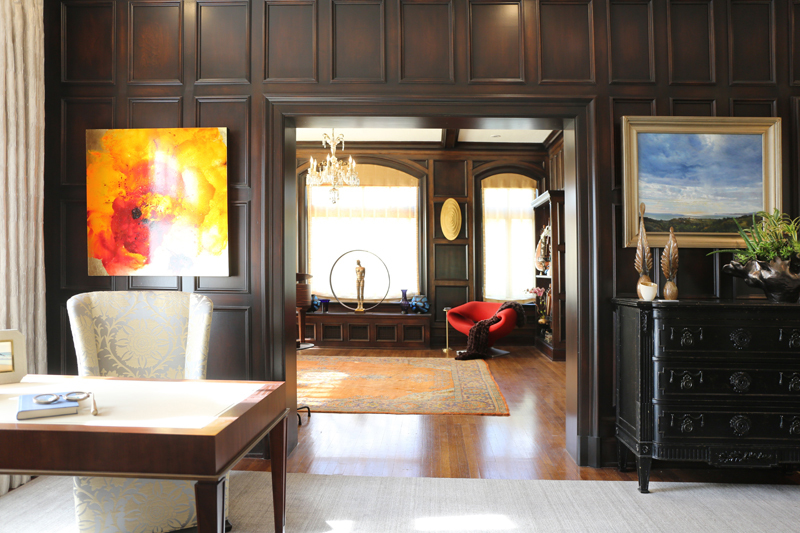 The home is full of beautiful original details including wainscotting and custom cabinetry. The home is surrounded by expansive and manicured park-like grounds, complete with sport court, putting green, rose gardens, fruit and palm trees, fountain, pond and horse corral. This home is listed for $14.995 million with Dilbeck Real Estate and is showcased by Luxury Portfolio.